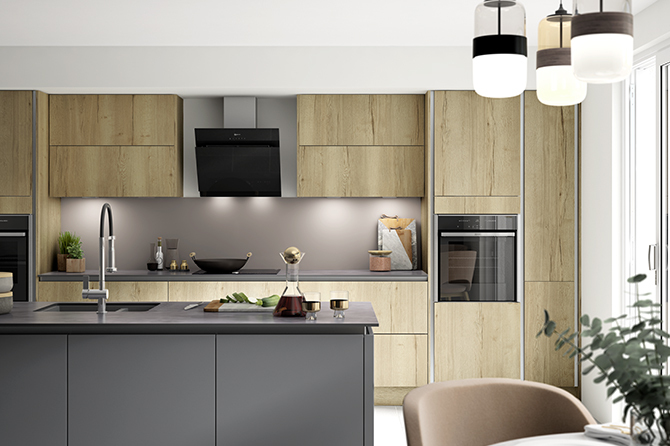 Our new Richmond Grey Oak draws on the continuation of the rise of grey with a grey-toned oak. The textured foil emulates the pattern of authentic wood grain but with the durability advantage of a man-made material. If you’re interested in the Richmond Grey Oak kitchen then please book a free design consultation using the buttons below.